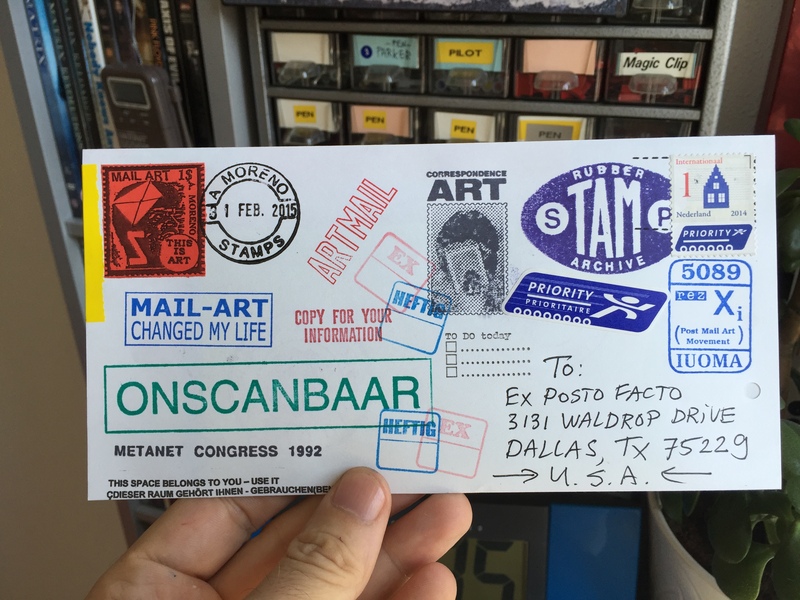 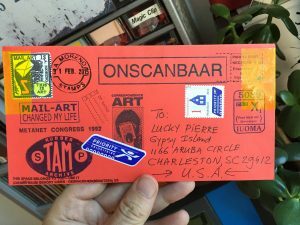 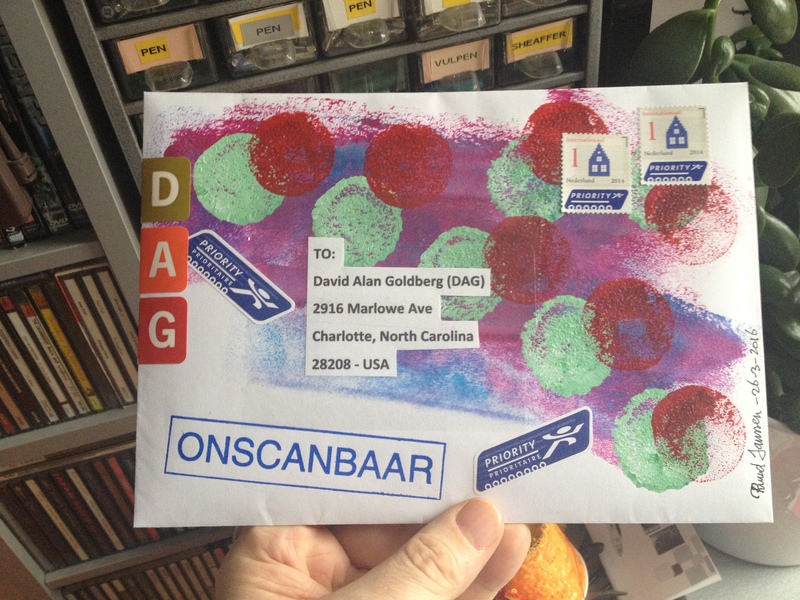 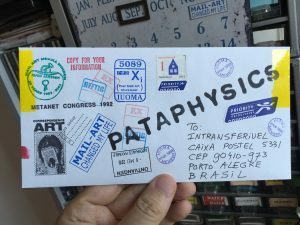 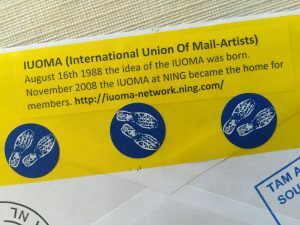 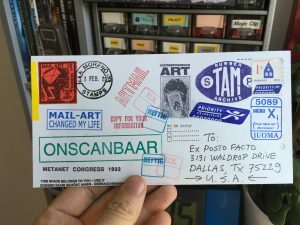 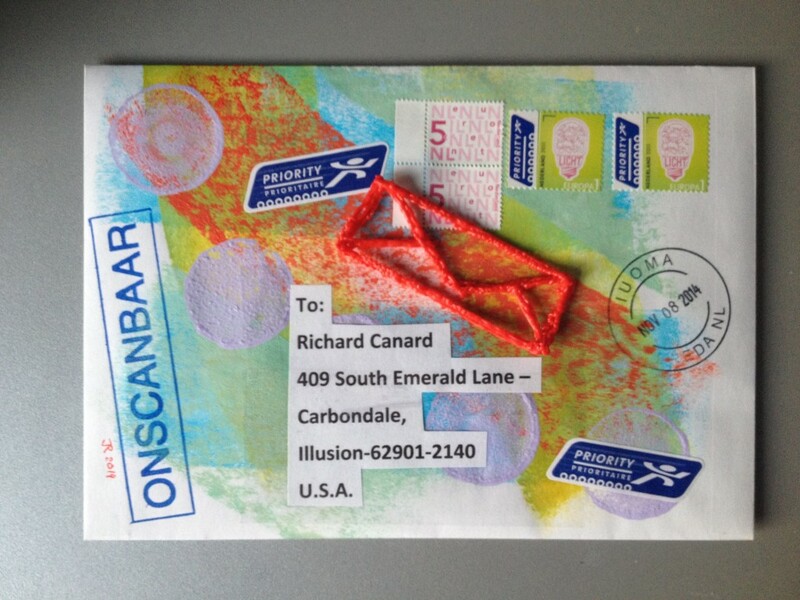 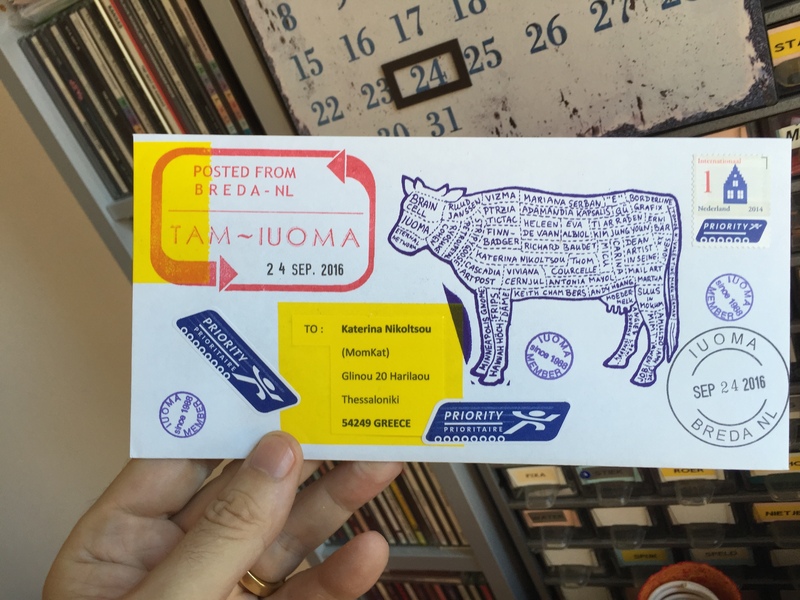 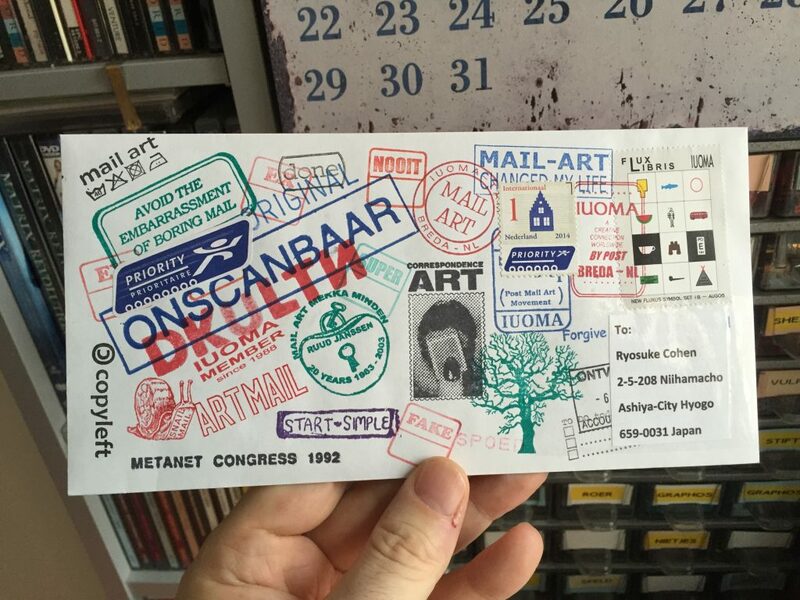 Onscanbaar – iuoma.org – Interested in Mail-Art? 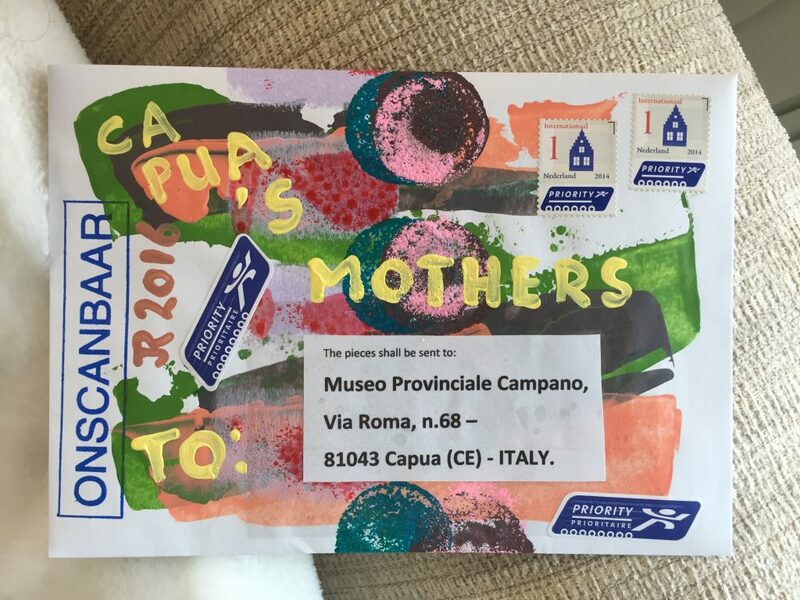 From Ruggero Maggi I received new of a project he is curating (capua’s mothers) at the Museo Provinciale Campano in Capua, Italy. 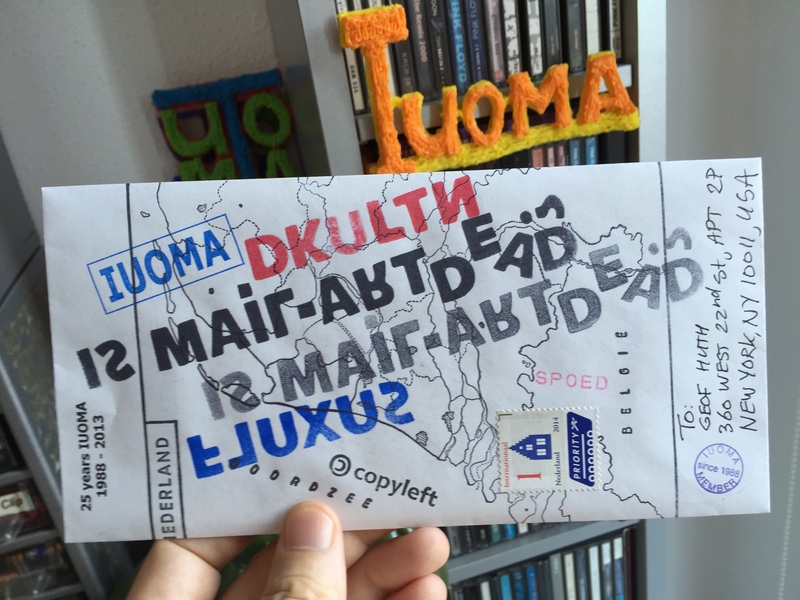 So I made this special envelope for the project that is going out this weekend. 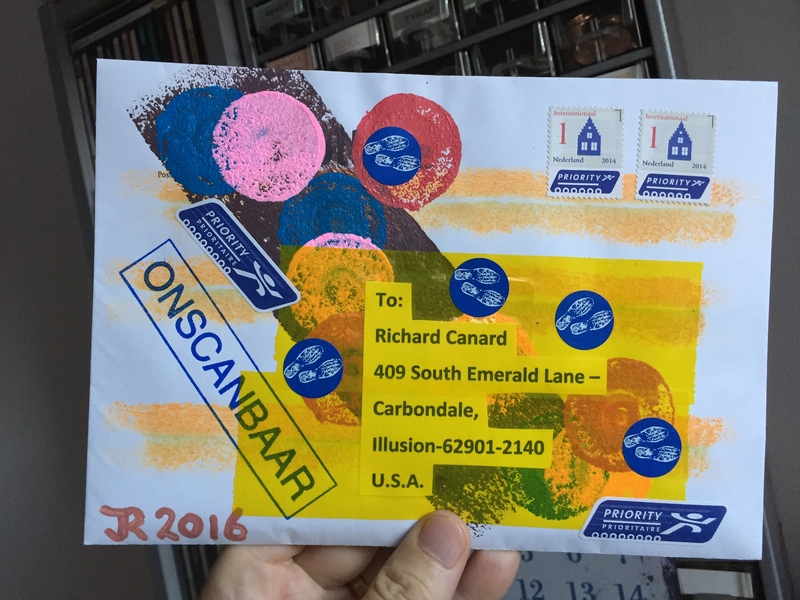 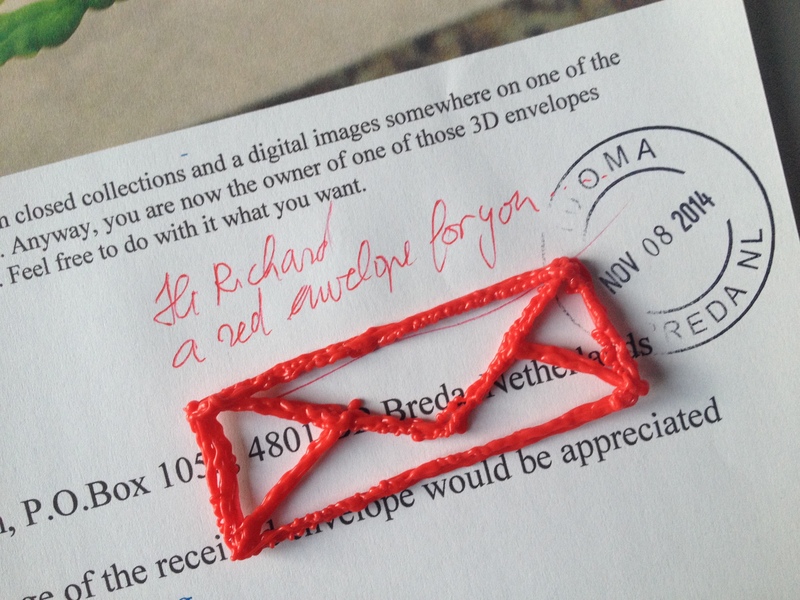 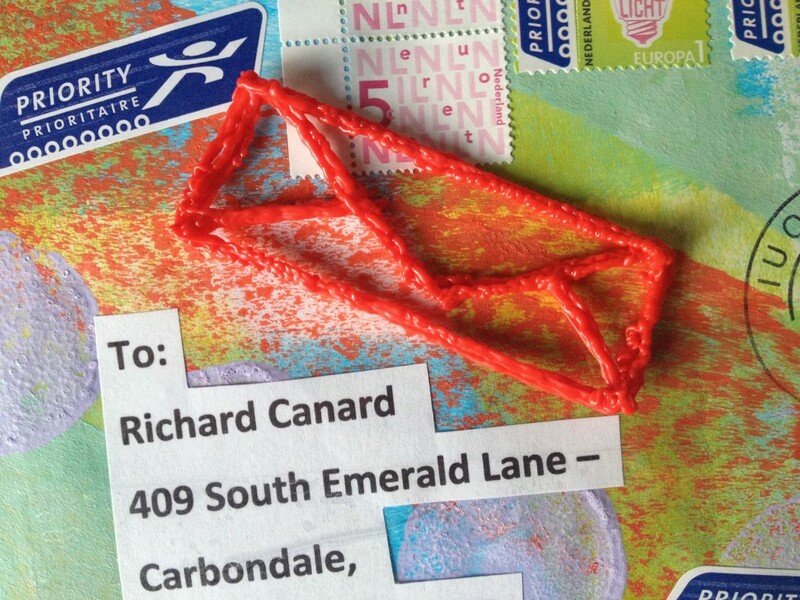 Another outgoing enveloppe to Richard Canard (Mr. C) in USA. 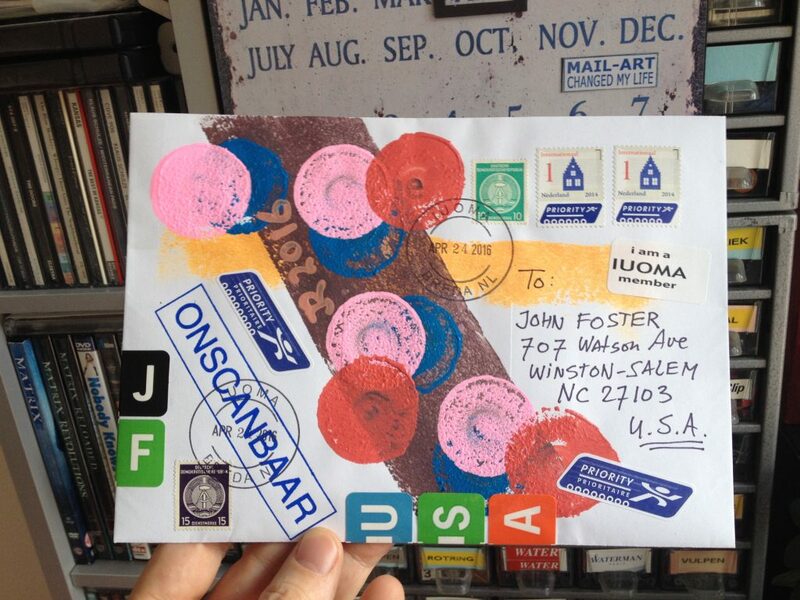 Acrylic painted enveloppe for John Foster in USA. 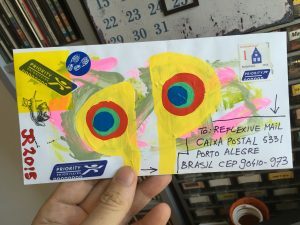 He is doing a special project for Mr. C. and is getting back my work for the collection. 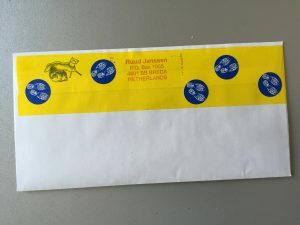 This is a special envelope made for Jude Weimeir in USA. He always sends me the most interesting things, and because he is a composer I thought he might enjoy the circles that form his name and address. 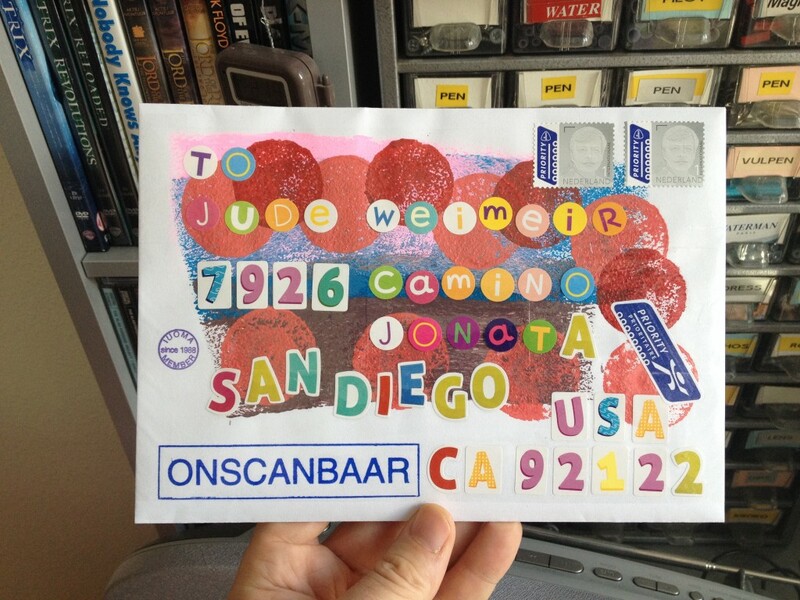 Several fonts were used, and protected with plastic and now on its way to San Diego in the USA. 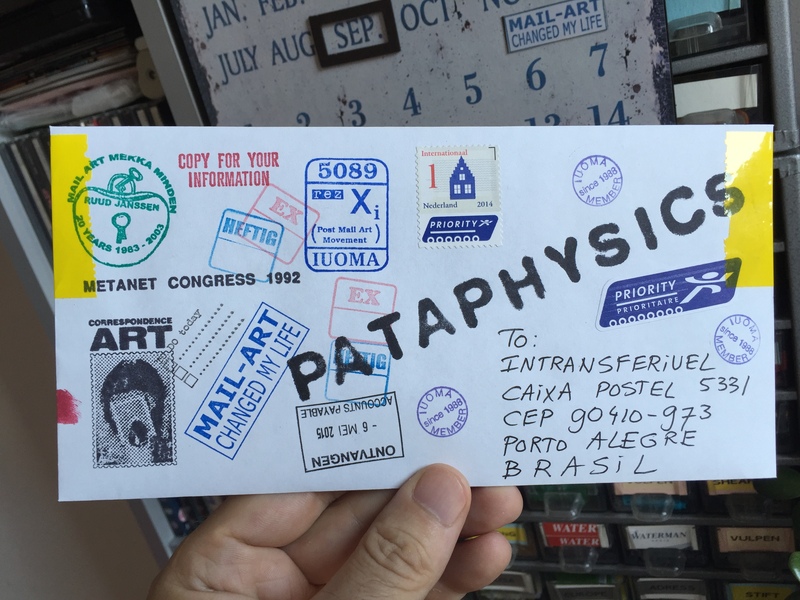 Hope it arrives safe and that he enjoys it.